He Will Rise Again covers Lana’s very first serious case as she battles against Glasgow’s most infamous serial killer. On the eve of All Hallow’s night, a body is found abandoned at a Glasgow park. Exactly forty-seven years since the last Bible John murder, a note tied around the young woman’s neck ominously announces the infamous killer’s resurrection. Shaken by the resurgence of the gruesome murders from the past, Glasgow’s citizens fear for their lives as the police, once again, struggles to find any evidence. While the law enforcement’s investigation keeps hitting dead ends, the task of catching Scotland’s most famous serial killer lands in the hands of those out with the law. Lana Doyle, an eighteen-year-old daughter of well-known private detective, William Doyle, vows to catch the murderer and prove that she’s ready to join her father’s practice. But is Lana ready to face off against the likes of Bible John or will her inexperience land the prodigy detective in more trouble than she could have ever imagined? As more bodies are discovered, the stakes are raised when Lana’s sister goes missing. Suspected to be Johns next victim, both father and daughter join forces in a race against the clock, unaware what shocking revelations this case will bring to the surface. 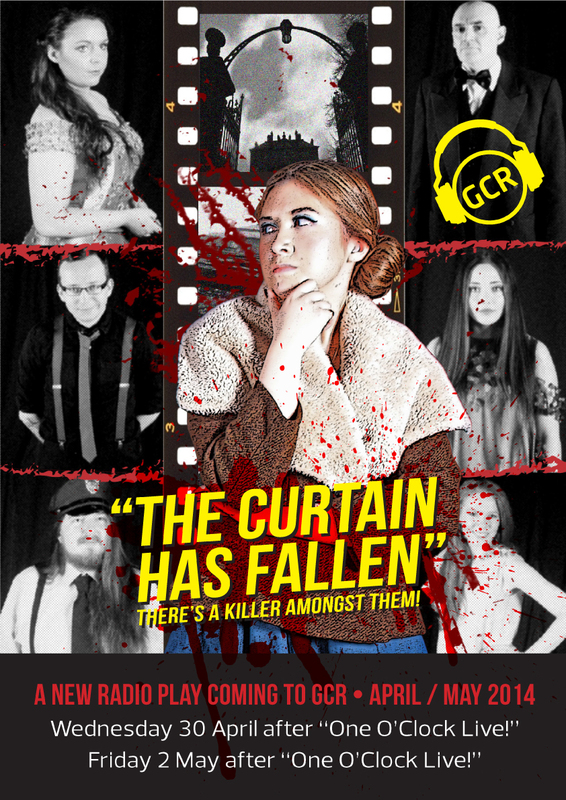 The Curtain Has Fallen – now available in podcast form! PS. More news about the next Lana Doyle adventure coming soon. An update: More from Lana and Drake to come soon? Just a quick update on The Curtain has Fallen project. Currently I’m nearing the end of semester at my college, so a little busy, but once Summer comes I plan to, hopefully, continue with Lana and Drake’s adventures. With that, “The Curtain has Fallen” could hopefully become the 1st chapter in their story. Fingers crossed? Listen to “The Curtain has Fallen” online! Part 1 & 2 & 3 of “The Curtain has Fallen” are now available online! If you guess right you might win the show’s poster( doesn’t matter if you live outside of the UK either ) Out of the right answers I will randomly chose one person. We’re broadcasting “The Curtain has Fallen” today! The gardens might hide more than is seen..